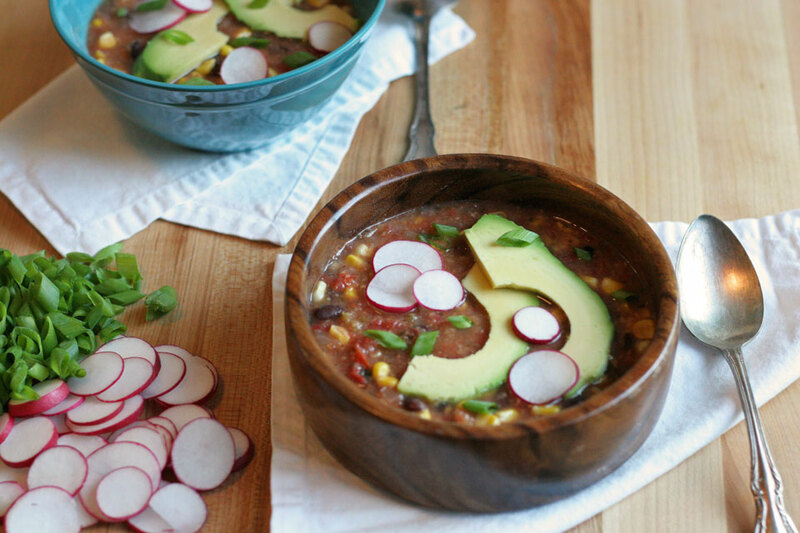 This is the easiest no heat using soup that the Summer can offer! Yes it’s soup. But it’s tortilla soup, so it doesn’t count in my book. You know when you want good food, but are running around enjoying Summer, working, and playing but also don’t want to eat out? That is what the crock pot is for, I think. I rarely use my crock pot, but it saves so much time, and avoids using hot stoves and ovens. 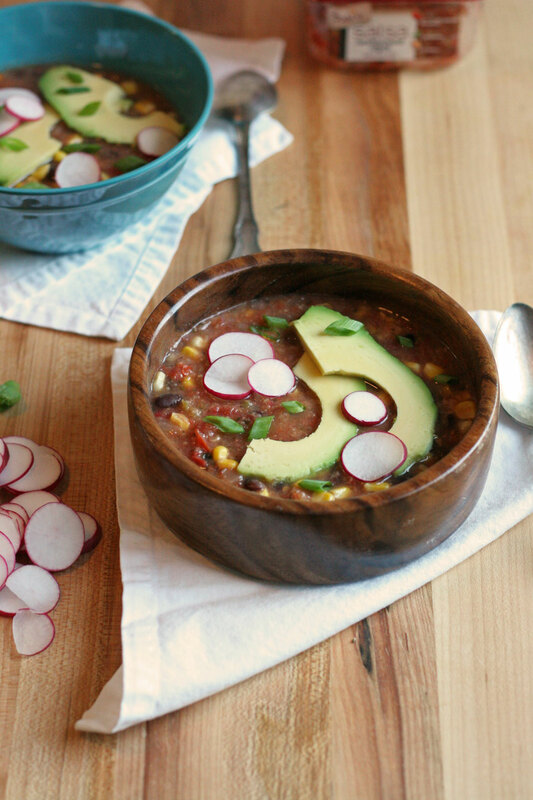 Plus this tortilla soup can be made all year long in the crock pot thanks to Sabra Salsa. We all need good easy recipes like this, and this salsa is super fresh, I should know, I watched the people pick the tomatoes by hand. So you are guaranteed the freshness and good taste from an awesome product that gives you the easiest and tastiest tortilla soup you could have in no time. I kid you not, this soup is so freakin good. 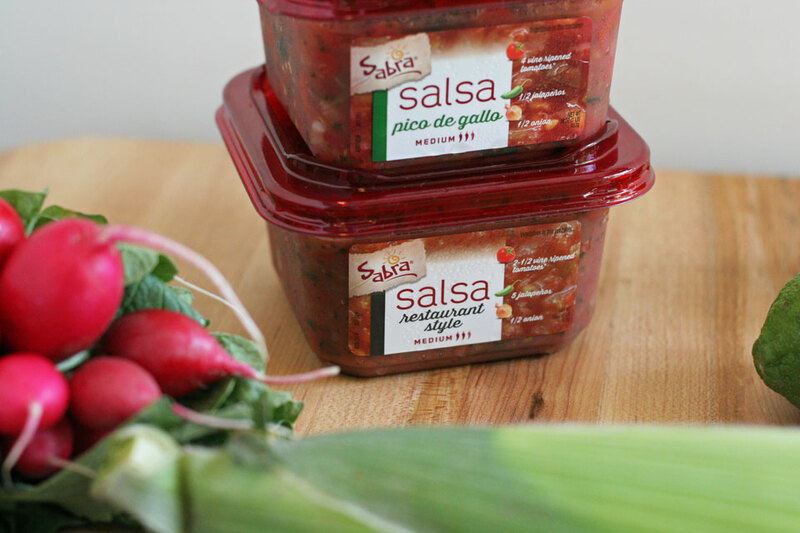 There are tons of flavors to choose from and even a black bean corn flavored salsa. You could totally use that for an even easier soup, but I wanted some heat using the medium chunky for texture, and use a whole can of black beans for more protein. These are the kind of meals I need right now. As you know I have been travelling a lot, and have had radio shows, TV shows, work due dates, and I need some me time. This offers me that time. I get the crock pot on, and put in a tortilla soup to cook, picture this, I am reading on the back porch while it cooks. Ahhh, yes. Maybe with wine, it’s so well deserved. I need a moment to breathe after all of these incredible opportunities for media trips and growing my brand. It is important to work with awesome brands and tell you guys all about them, I do love that part of my job. On the same hand, I find balance in having a break, being home with Brian, the kitties and my family. To eat easy made soup, not spending hours in the kitchen, and relaxing enjoying Summer. So go forth, crock pot an easy yummy soup, and enjoy Summer! 1. In a crock pot add the salsa, black beans, corn, chicken if using, stock, salt, and pepper, cook on high for 3 hour. Serve immediately with radishes, avocado, green onions, and chips. Or store in an airtight container for up to 5 days. Yes, it is that easy and good! Enjoy! 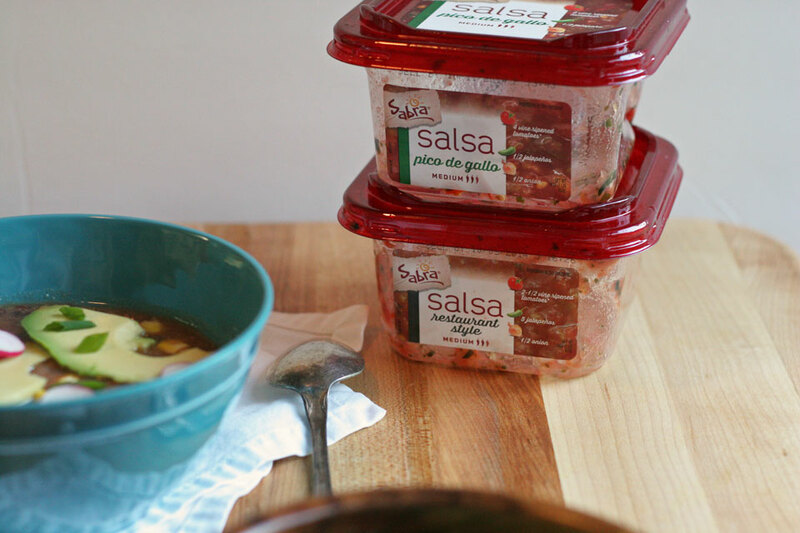 Disclaimer: I am a Sabra Tastemaker and am a part of the #SalsaLove campaign. I was compensated for this post and given the salsa to develop recipes. As usual all opinions are my own. Check out the #SalsaLove for a chance to win a trip to sunny Southern California! Thank you sweets! It was so good and easy.